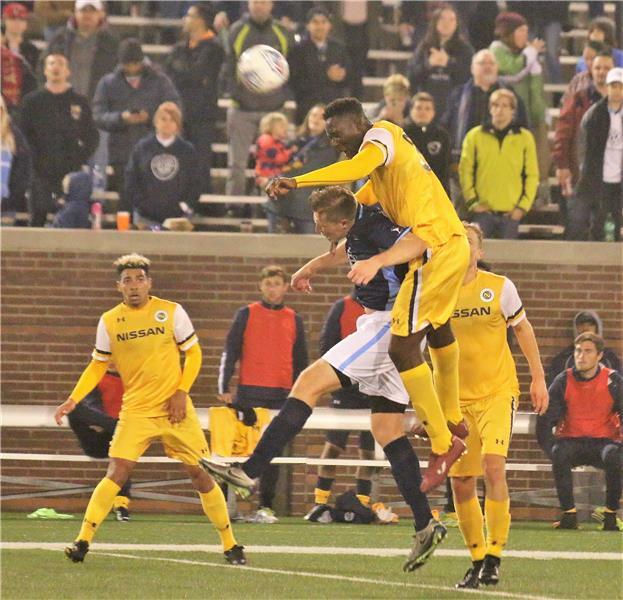 Chattanooga FC hosted USL's Nashville SC Saturday night in their second exhibition match of the year. Chattanooga opened the match with several dangerous chances including a shot off the crossbar but the Nashville team would score three goals in the first half and take the 3-1 win. Nashville's first goal came off a penalty kick after a handball in the box. Matt LaGrassa scored the PK. 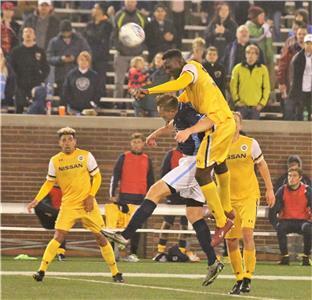 Nashville's Ropapa Mensah scored the second goal in the 30th minute after taking on a Chattanooga FC defender to give Nashville a 2-0 lead. Nashville's third and final goal came when Tucker Hume cut through the defense to give Nashville SC a 3-0 lead in the 45th minute. Chattanooga's Juan Hernandez scored CFC's lone goal in the 59th minute. Chattanooga officially opens the season on April 21st when they host Detroit City. They will have nine home games including a friendly with the Seattle Sounders U-23 team and a July 4th match up with Inter Nashville FC.